Promotional beers, like promotional tie-in videogames, are quite often the sort of thing you’d be better off avoiding. It’s only natural to be a bit wary, when a band or movie decides to shack up with a craft brewery to produce a beer. But when those bands choose good breweries, that’s when things get interesting. It would seem that Killer Mike and El-P of hip-hop duo Run the Jewels apparently have some good taste in beer, because they chose Brooklyn’s Interboro Spirits & Ales, along with Asheville, NC’s Burial Beer Co., to produce their new Stay Gold IPA. Named for the track off RTJ 3 (read our 9.3 review here), Stay Gold is an IPA that plays to the strengths of both Interboro and Burial as two of the East coast’s best brewers of hop-forward beers. It’s not entirely clear to me if Burial has been involved with the project since it was first announced, or if they were brought in later, but either way our can says that it was produced in Asheville by Burial, a brewery we’ve written about pretty extensively. 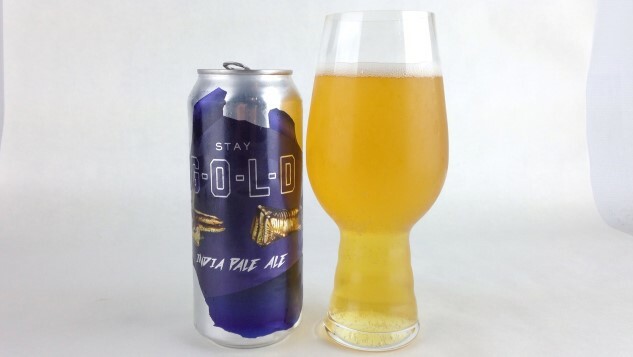 Stay Gold seems structured as a fairly straightforward, approachable, no-nonsense take on IPA that is informed by modern IPA brewing trends but doesn’t slavishly commit to them. This is not the hazy New England-style IPA, either in appearance or flavor profile, but it does have elements that have come into the vogue in current IPA brewing. On the nose, grapefruity citrus is likely to be the first note that jumps out, followed by grassy, dank, “greener” hops. This is definitely more than a little catty, making the overall impression a combination of grapefruit juice and some premium kush, of moderate overall intensity. On the palate, you do get just a bit of crisp malt, but this beer is significantly more hop-driven, with only the barest malt balance. Bitterness is moderate and mouthfeel is light, reflecting the 6% ABV, on the lighter side of the IPA spectrum. Grapefruit citrus gives way to somewhat juicier pineapple, which contains some mild residual sweetness as well, which keeps it from being totally dry. Overall, you’d call the profile more “classic west coast” than noveau, although it does have a moderate degree of that hop juiciness that has come to dominate IPA lately. This is just a clean, easy drinking, food-friendly IPA that favors a simple but enjoyable presentation. It’s uncomplicated and perfectly suited to its task. Drink it with a burger, drink it with a second or third can of the same. It’s all good. Stay Gold, folks. Jim Vorel is a Paste staff writer and resident beer guru. You can follow him on Twitter for more beer content.